The official deviantArt logo, created by Eric Parthum. SVG file is now solely the standard logo. Continue to let me know what you think. So here's the now-retired logo, from thirteen years ago. One last comment, and I'll let it go. The old logo was pretty tacky, and the new one is just plain embarrassing. But what really needs to change is the name of the whole place. Deviant Art sounds like a place where deviants (perverts, pedophiles, sadists, etc) show off pictures of depravity. I remember thinking that when I first came here. In conversation, I refer to it at "DA", since I find the full name silly. Change the name to something less goofy, get a real designer in to create your new look (not just a logo, but a whole image make over - it should all be done as one, not adhoc). And allow a selection, in the user's profile, of a half-dozen color schemes. After all, this is an art site. Why does it have a locked-in, fascist UI? Hate that color of green. Enough! I'm done. We now return you to your social network, already in progress, without any need for suits dicking around. "where deviants (perverts, pedophiles, sadists, etc) show off pictures of depravity. I remember thinking that when I first came here." Besides you being disappointed at first, we're glad you stayed around xD. figure out what the site was all about: collaborative creation. This is really a GREAT HONOR for me!!! Congrats man! Wow! This is the logo I was looking for so long! Hi. Doo you or anyone else know what the meaning of the logo is, if anything? I was thinking it's a D with the resemblance of an A in it, but I'm not sure. Just wondering. 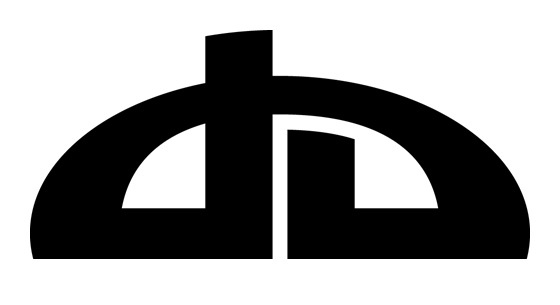 Yes, it is a stylized D and A, the final was developed through many experimental iterations. Cheers. Ah. Wow old comment. Thanks! Simple, elegant & stylish!! I always wondered who made the DA logo? might use this on my blog. Dank a, the element I need. mostrar é divulgar o que por vezes está escondido algures na nossa mente "arte"
May I use this for my final? You sir, Have made a fancy logo of DeviantArt. Hi, cool design. 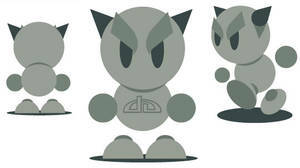 I was wondering if i can use this, or another logo from deviant to place on my webpage to link to deviantArt. I cannot find the rules what i can i cannot do.. I believe you can do just about anything you want with it. do you have a bigger one? ?